I was born and bred in Zimbabwe, but my parents came from Malawi. I came here to Australia in 2007 with my wife Heather and my son Tim. My daughter Leah was born here that year. 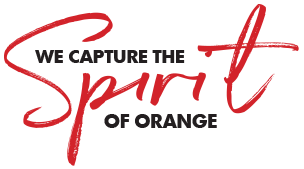 I was born and raised in Orange and I love it here. I like the weather, the mountains, I love the bush — you are close enough to everything but far enough away from everything and I like the people. “I was born in England, raised in Cairns and went to university for Veterinary science in Townsville before moving to Orange in 2017 to start work at Canobolas Family Pet Hospital. “I grew up in Orange and moved away in my University years studying Bachelor of Fine Arts, after Uni I travelled quite a lot. A few weeks ago, our Publisher Bob Holland caught up with Federal Member for Calare Andrew Gee showing a different side of our local member than that you see in front of the cameras at a doorstop interview. “When I was born my lungs weren’t formed properly, so I was taken to Sydney via Child Flight, and was on life support for two weeks, so I take my health and fitness pretty seriously. I was born at Bourke and grew up on a large sheep and cotton property west of the Darling River towards Wanaaring. “I was born and grew up in West Wyalong until I was in year 8, then I moved to Orange. I finished my boilermaker trade and then I moved to Mackay, I got engaged, we moved to Perth - we followed the construction boom a little bit before we decided to move home to Orange and start our family. Local Mike Middleton now has a pretty unique new title - Master Auditor, issued by Exemplar Global, making him one of just four in NSW. Kate works for Hockey NSW as a Regional Coaching Coordinator and her job keeps her pretty busy. “My parents migrated here from England, I was born the following year. I grew up in East Orange and I was lucky enough to be one of the first students to be at Canobolas High. “I grew up on the family farm in Manildra with my Mum, Dad, two sisters, Nanny and late Pop, I bought my first home in Orange in 2013 which we are about to sell!